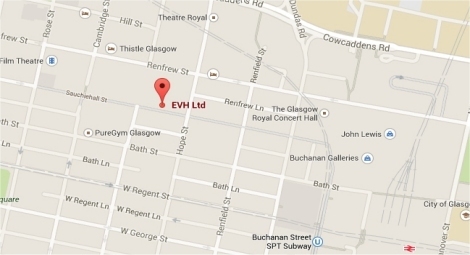 EVH began fundraising for CHAS (Children’s Hospice Association Scotland) in 2003. We smashed our £100,000 target last year whilst celebrating our 40th anniversary year! A special unveiling of our "CHAS Wall" in Betty's Room took place on Thursday 3 May 2018 and we were joined by staff from CHAS and guests from member organisations, supporters and suppliers. 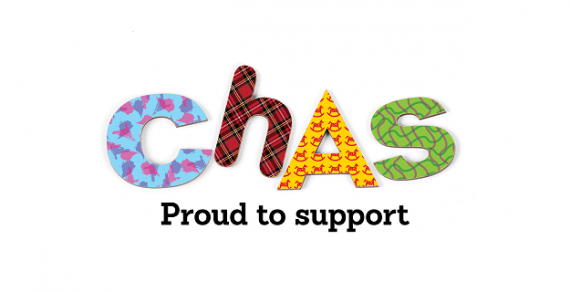 CHAS (Children’s Hospices Across Scotland), the only charity providing hospice services in Scotland for children with life-shortening conditions because no amount of medicine, or love, can cure them. Their aim is to reach out to every family living with the heartbreaking knowledge that their child is dying, support them, care for them and help them to make the most of that precious time. This sits at the heart of everything CHAS do. Caring for a child with a life-shortening condition can place unimaginable demands on families - physically and emotionally. Quite simply, CHAS are there to lighten their load. To date our overall fundraising total now stands at £104,791.47, a huge thank you to all our supporters. We took the opportunity to mark this achievement by inviting Jonathan Clegg from CHAS and our officer bearers from the Executive Committee into the office for a photoshoot to share the success. The photo can be seen in the "Downloads Section". To find out more about the wonderful work that CHAS do you can have a look at the video below or visit their website www.chas.org.uk. Take a look at our new CHAS wall under our "Downloads" section.